Do you remember the lovely French movie Amélie? The iconic scene was showing a runaway garden gnome sending selfies from around the world. 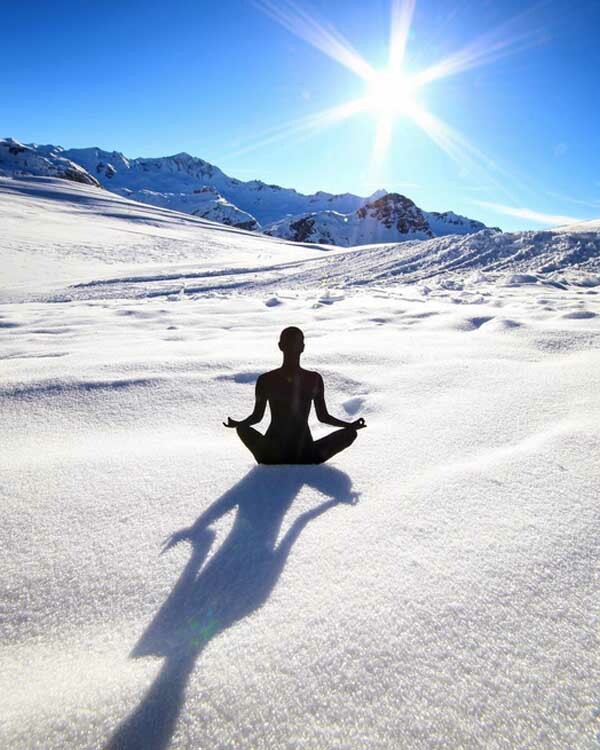 How can this inspire you for taking original pictures in your travels? Read this post to find out! I can see that. You are very excited for your next travel. You dreamed to visited that place for a long time. You want to take lots of pictures. But… hey! How to make something different, not just the same pics you see on FB and google images?? I have an answer for this question. You need a STORY. 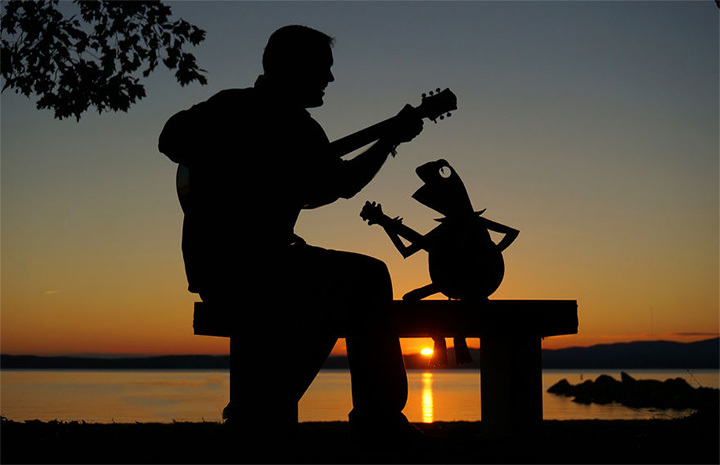 And the stories I tell you here are about TRAVEL BUDDIES. The gnome of that film has been a huge source of inspiration already. 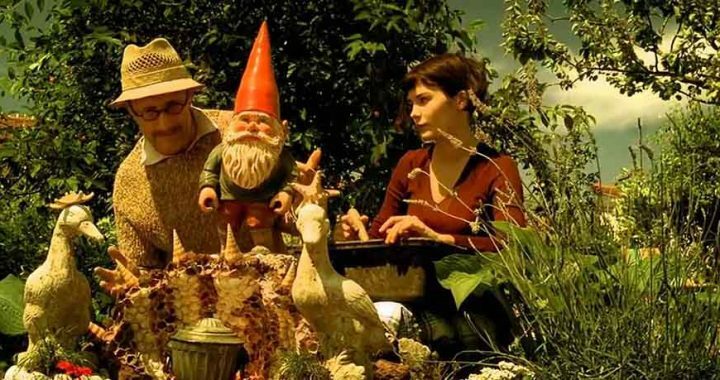 Some people, sticking to the movie plot, kidnapped a garden gnome for a tour returning them after with some pictures. Recently in UK one of them opened a Facebook account for Gnorman Watson, but he didn’t get very fas as you can see here. Others even started to steal gnomes from private gardens to set them free “in the wild” (gnome liberation front). 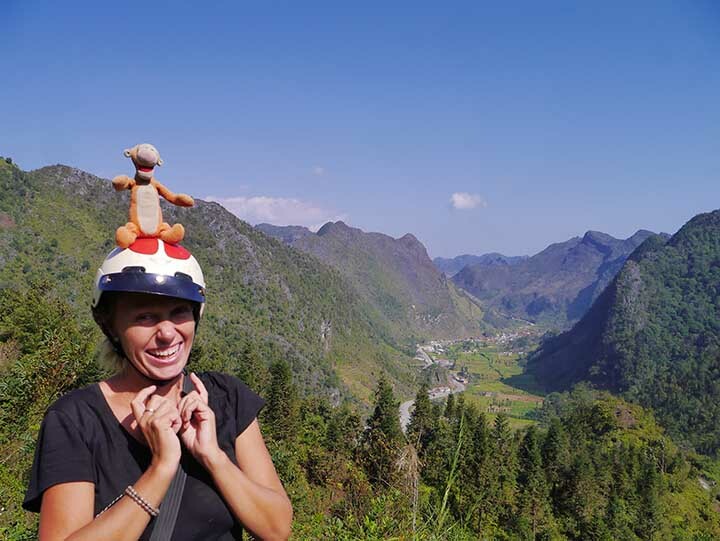 My friend Marie has been traveling the world for one year and brought with her a Disney’s Tigger puppet. She had a ritual, everyday she was posting on Facebook a picture of Tigger in the place she was visiting. I remember him sitting with Marie on the backseat of my mortorbike when we rode around Ha Giang in Vietnam! Taking pictures with Lego characters is quite popular. I love the storytelling by Andrew Whyte. 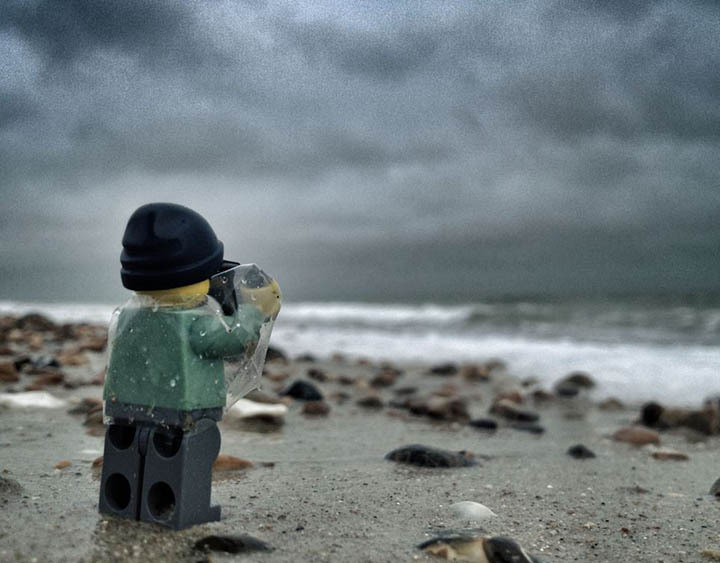 A cute lego photographer is travelling to beautiful places and looks very serious in his job! 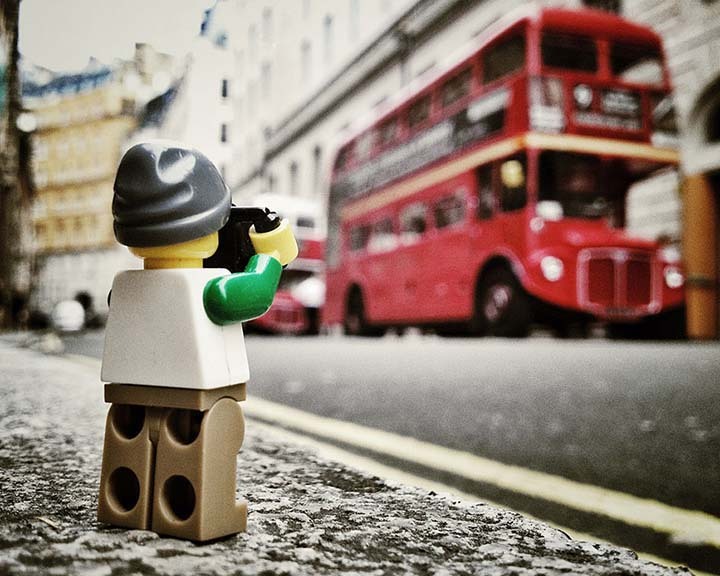 You can read his adventure on his legography accout. Here you find a collection of his pics. Andrew took these picture using an iPhone, discover how he does it. This is more a parody than a real travel (and its quite photoshop stuff). 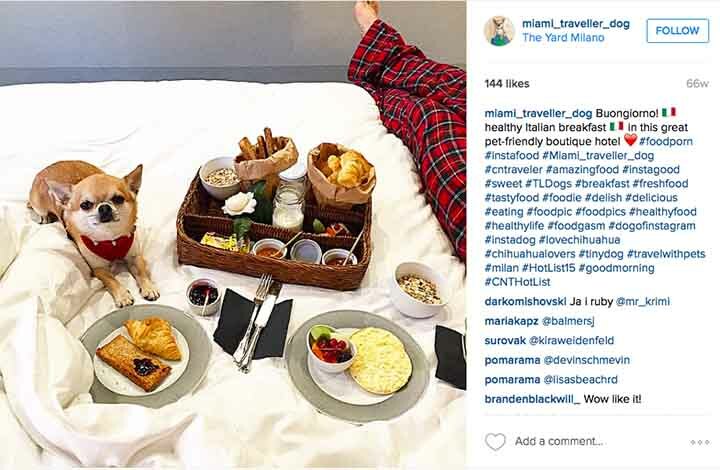 But it is a good example of catchy story, as the 90k Instagram followers testify. Barbie savior is a “brangelina” style volunteer. She founded a charity for collecting tears for drinking water, and is keen to save “the country of Africa” as you can learn in this funny interview! But this satirical character is not just for fun. 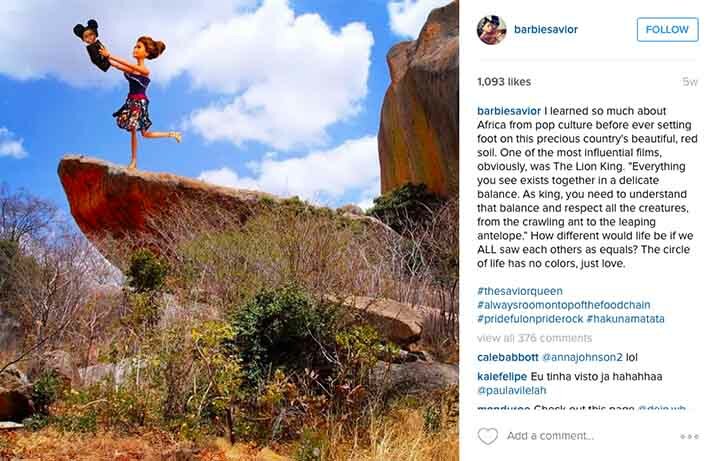 The creators are two 20-something women who extensively volunteered and worked in Africa and wanted to raise real discussion on what is and isn’t appropriate behavior abroad. A great story behind the pictures. I also have an example NOT to follow! 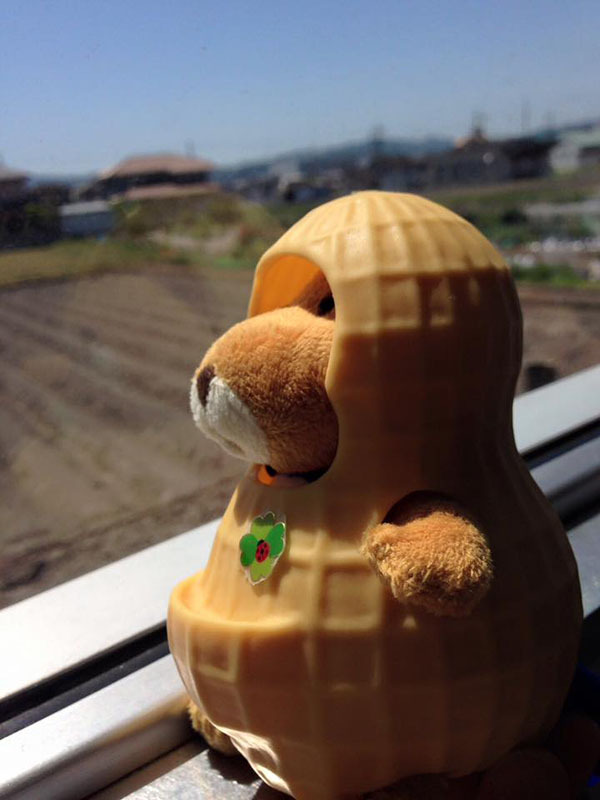 A Japanese agency offers a service for lazy or unable to travel people. 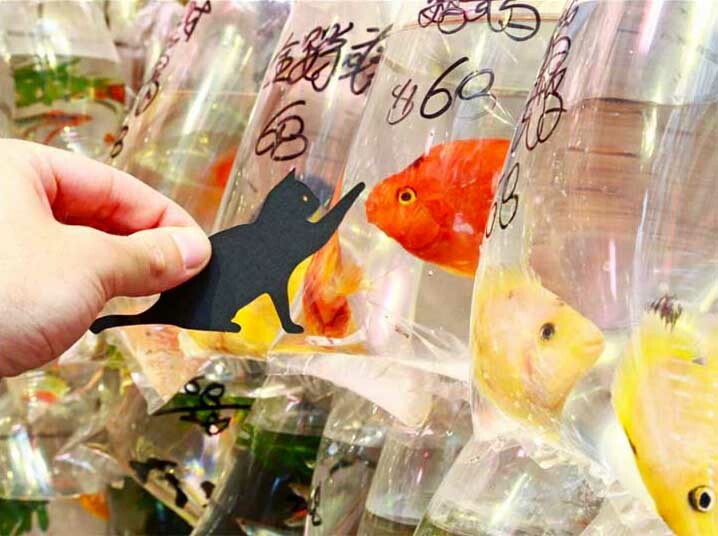 They take your toys on a VIP tour – to Tokyo for example – and shoot a full set of pictures. Too bad! Did you ever think that anything in your pocket or bag can be your travel buddy? When I took my sabbatical three months to travel in Southeast Asia I wanted to make a surprise to my colleagues back home. I secretely took with me some paper cups that my company was launching for Christmas. 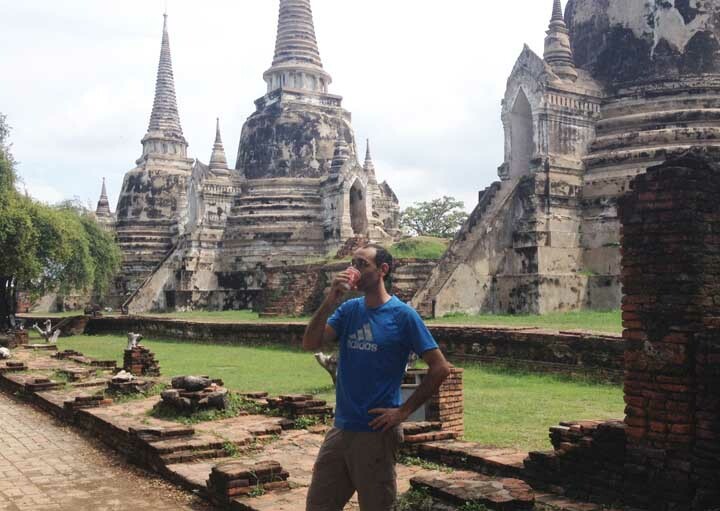 The initial idea was to take pictures of myself drinking from a cup in iconic places around Southeast Asia. But after a while, it tuned out to be a video on me on crazy public transport. That was my Christmas present for my co-workers! There are loads of Instagram and FB profiles dedicated to Pets. Hard to choose! 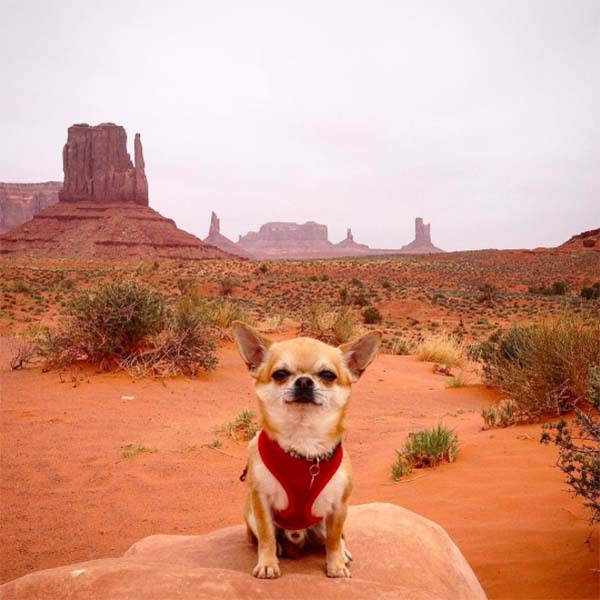 Miami is an Italian Chihuahua who loves traveling and fine living. 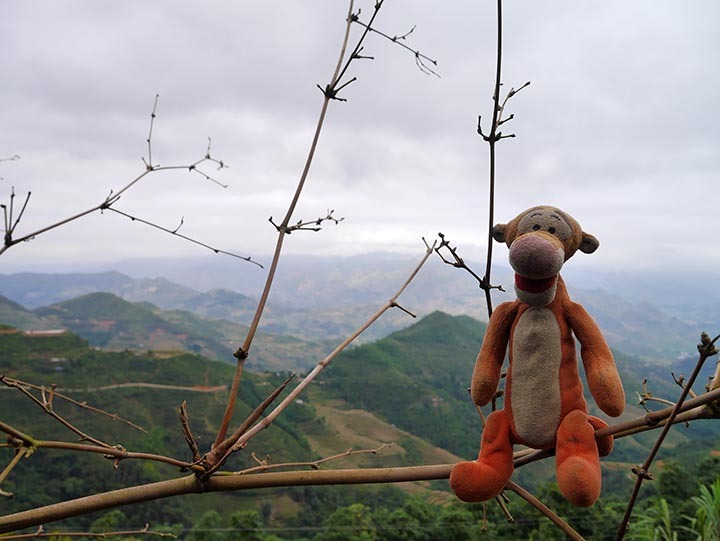 Her owner Marianna carried him to many beautiful places around the globe. She learned well Amélie’s lesson! 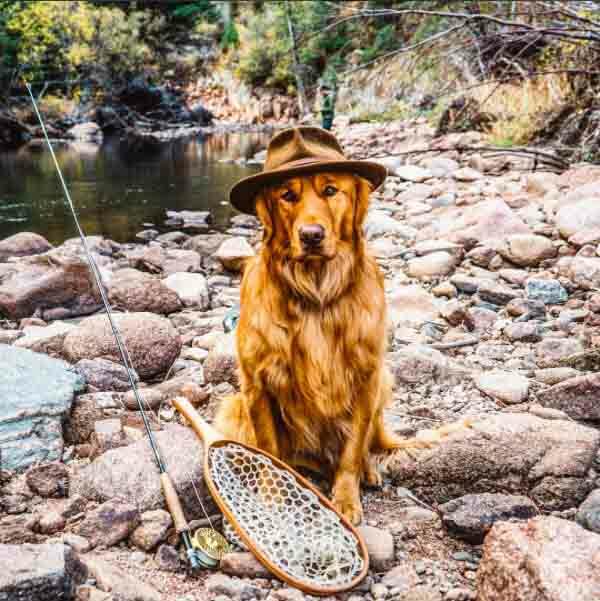 Aspen is a beautiful golden retriever living in Colorado. He is fond of Wild Nature and quite ironic. By all means you are very likely to travel with someone. So why not making him/her you photo subject? You just need an interesting storytelling. 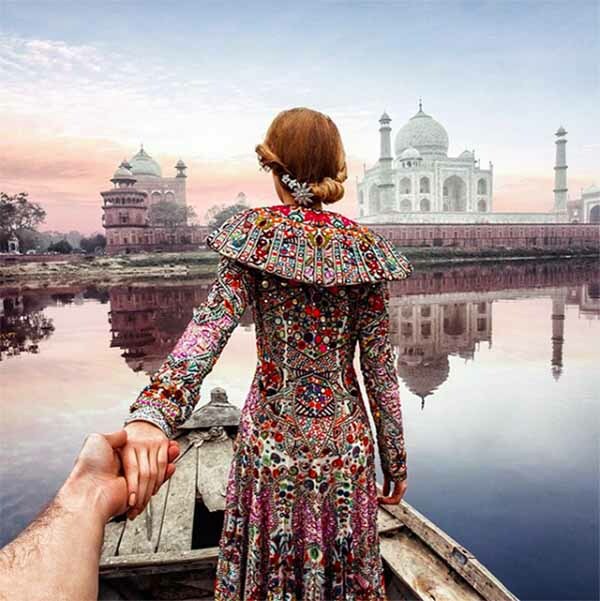 Since 2011 Russian Murad Osmann has been traveling with his fiancé (now wife) Nataly. What is more romantic than holding your beloved one’s hand? 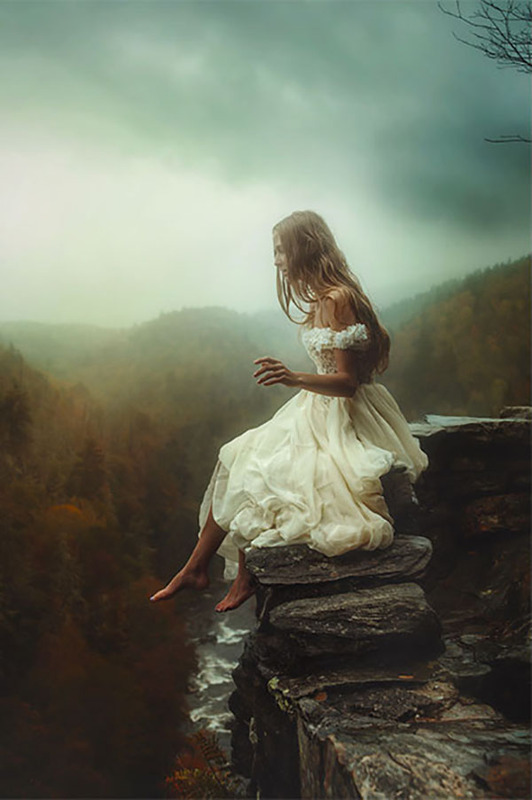 Breath taking landscapes and dresses! But don’t try to fake it! 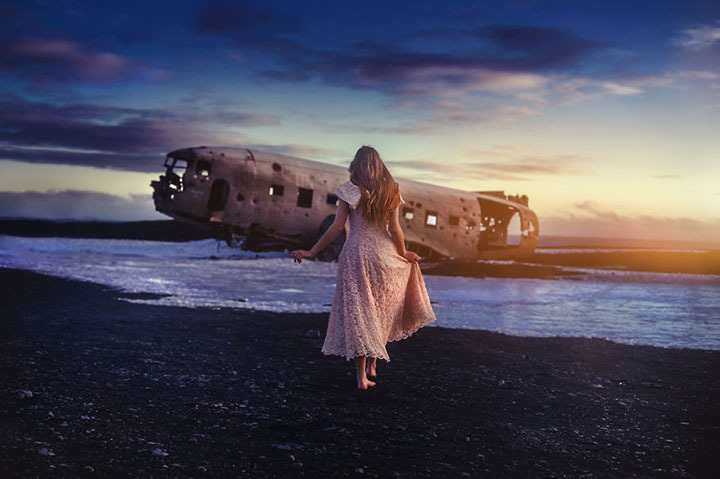 Victoria Yore and TJ Drysdale run a travel blog. Their pictures are amazing. They claim not to build stages and use only natural lighting. I can’t discuss on that, but results are awesome. 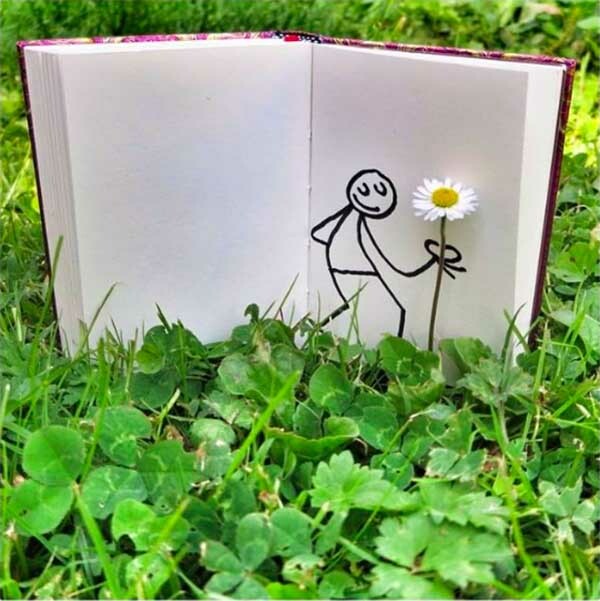 Elyx is a character created by French Yacine Ait Kaci. 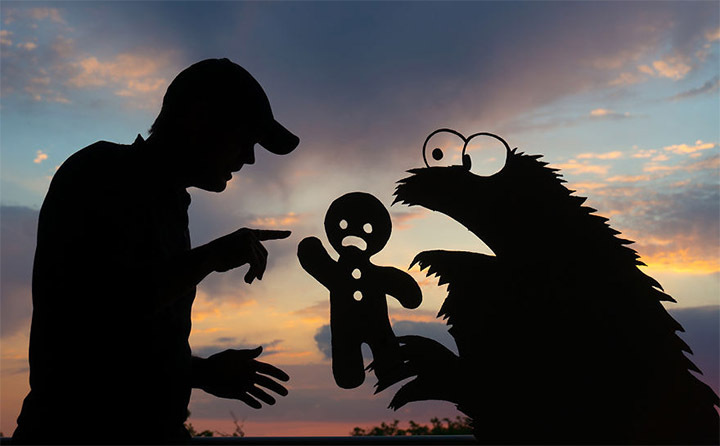 This little scratched man interacts with reality around him creating cute and ironic stories. 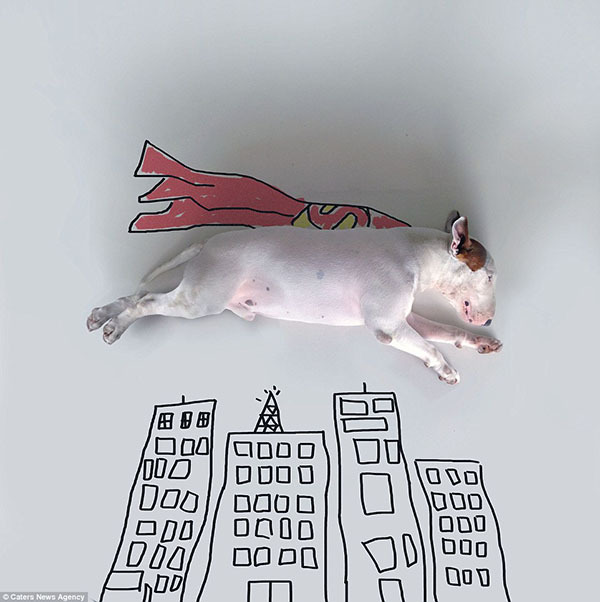 A wonderful example of art and photography improvisation. 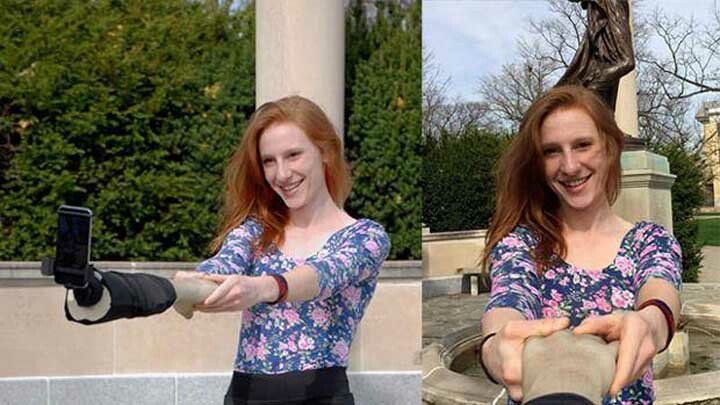 A couple of artists are using the same technique to create original pictures. 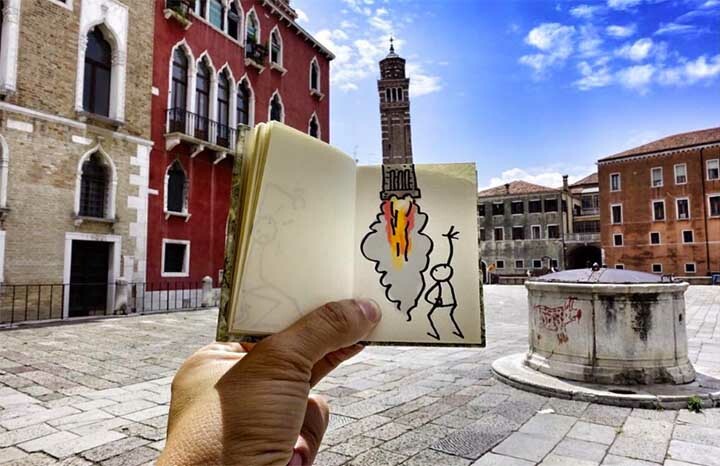 By adding clever cutouts to the real scene British artist Rich McCor transforms iconic places or everyday situations. On the other hand, John Marshall loves taking selfies at sunset surrounded by funny silhouettes. Think about it next time you shoot a sunset! If you are less artsy you can try to use your phone instead like François Dourlen. 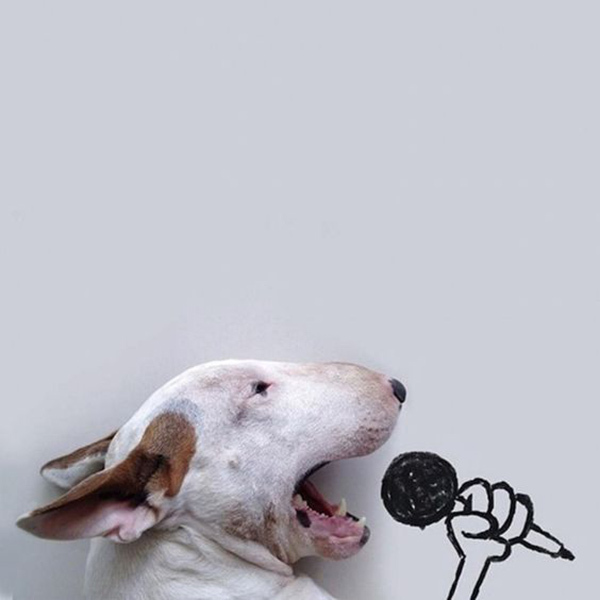 Jimmy Choo the bullterrier is a photo star. He travels a lot with imagination, thanks to his Brazilian owner and photographer Rafael Mantesso who scratches scenaries and takes amazing pictures. Jimmy is really supercool. You can find photobooks and calendars dedicated to him. Did I inspire you? 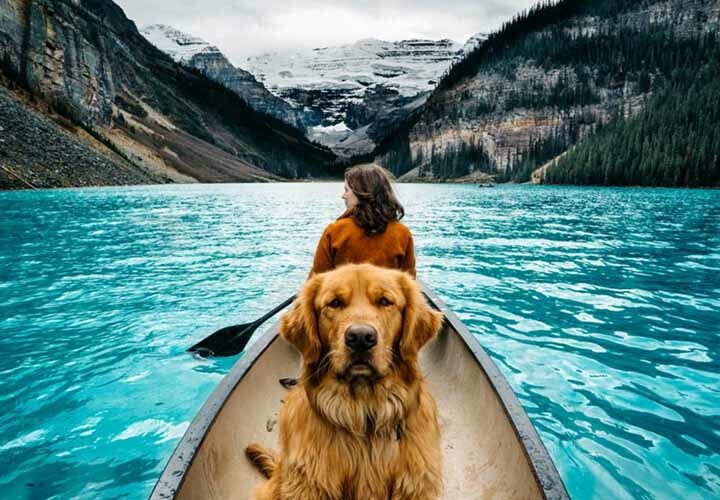 Who’s gonna be your next travel buddy? Leave a comment! Posted in Inspiration and tagged amelie, barbie, dog, lego, pet, photo, travel buddy.